Military of the Russian Center for Reconciliation of Opposing Sides in the Syrian Arab Republic delivered several tons of humanitarian supplies to the town of Zabadani, RIA Novosti news agency reported on January 11. The Russian Center for Reconciliation of Opposing Sides in the Syrian Arab Republic forces organized the distribution of humanitarian aid in the Rif Dimashq province liberated from militants. The Russian military also deployed a mobile hospital. After several years of the town being under control of Jabhat al-Nusra (organization banned in Russia) the center of Zabadaniis destroyed, medicine is in short supply, and any kind of medicine is absent, so that they only hope is for Russian doctors. 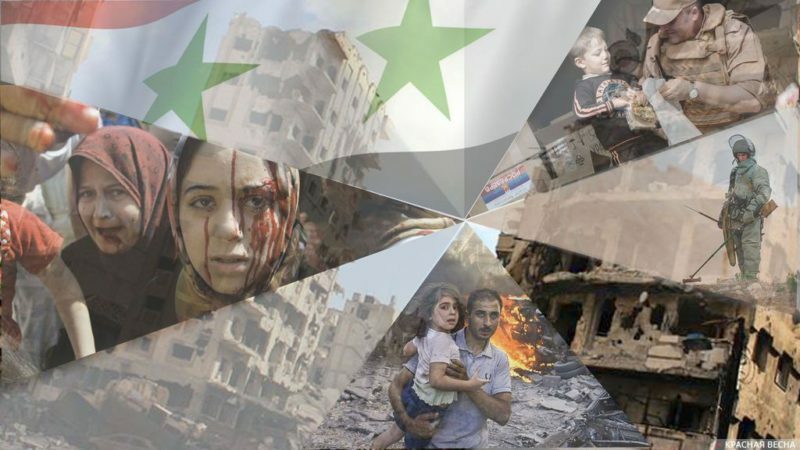 The Russian Center for Reconciliation of Opposing Sides in the Syrian Arab Republic is engaged in the humanitarian activity of delivering supplies to the provinces of the country destroyed by war. 12 tons of food products and supplies have been delivered only in the past few days. One of the main goal of the Center is coordination of the peaceful process between opposing sides. This entry was posted in News from the Middle East and tagged Humanitarian aid, Russia, Social War, Syria. Bookmark the permalink.